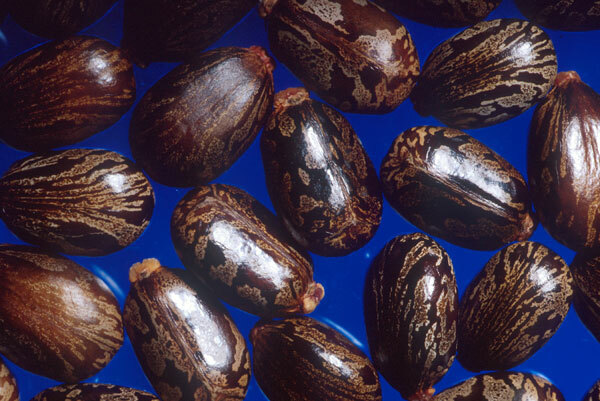 Today I Learned about Castor Oil, a home remedy that my Dad & his family used a lot as a child. 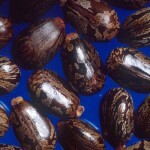 I took as gospel that Castor Oil was quite effective in curing illness, comparable to our modern day panacea of Aspirin. At least, Until this day. I was listening to an old cassette where I interviewed my father for a Oral History report. In the stories of his childhood, he’d tell me of the relative wealth his family enjoyed. After all, he had “food on the table, and medicine for when we were sick”. I didn’t think twice about one of the aforementioned medicines that would heal the childhood Eugene, helping him along the way to becoming the strong, proud black man that is my father. As an 8th grader still not too familiar with the socioeconomic conditions my father grew up in [[Let Alone My Own]], “Casser Oil” was something that Just Worked. While the beans sure are purdy, when their oil is ingested, what you’d pretty much had taken was a intestine cramping _laxative_. Definitely nothing dangerous—it’s recognized by the FDA—but also definitely not a cure-all. Honh. But—what struck me as most……odd, is the fact that Mussolini used Castor Oil as a intimidating torture device in Facist Italy.